” Going to the chapel and were going to get married”…the question is though how are you going to arrive in style? As a wedding photographer I enjoy photographing my lovely couples with their chosen choice of transport and these days the choice is endless. 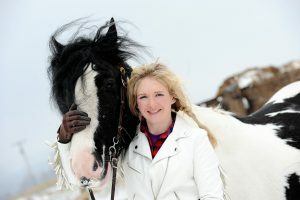 From the classic vintage car to arriving on horse back here are a few idea’s for you to consider. Nothing beats a classic wedding car, right? For some people who want to arrive in style this is a perfect choice. A beautiful and traditional choice and there’s no doubting that you’ll look the part in a Rolls Royce or a Bentley, but what about those of us who would prefer something a little more quirky? Gone are the days where wedding transportation is just a means of getting to the church or reception venue on time. Nowadays, it has become something of a statement to reflect your personality and, as every wedding photographer knows, it can be a fantastic opportunity to take some original and memorable photographs of your celebration. 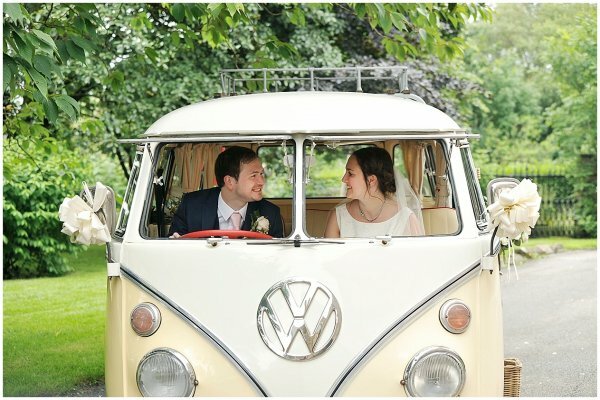 Maybe you like wedding cars, but you’d prefer to skip tradition for something a bit retro such as a VW Campervan or Beetle. You could dress these up with ribbons, flowers and fairy lights or even a spot of bunting to add a touch of charm. Perhaps you’d prefer a vintage tram or a bus for the occasion. Choosing transportation of this size allows you a lot of scope for decoration, not to mention the room for ‘all aboard’ group shots of your wedding party. You could even offer some of them a lift! If two wheels are better than four, why not opt for a motorcycle or Vespa? It will certainly be a memorable entrance, though we’d advise a few practice runs in dresses and heels first. For the avid cyclists, or those who love a spot of understated romance, the vintage wedding bicycle has become a nice feature of many modern weddings. It may not be the most practical transportation choice but, with many companies allowing you the opportunity to personalise your bike for the day, it will certainly provide a stunning focal point. A horse-drawn carriage is always a crowd pleaser for a fairytale wedding, but there is nothing to stop you going one step further and arriving on horseback. Or maybe you could take to the skies in a hot air balloon or a helicopter? Virtually anything goes when it comes to wedding transportation. Just make sure you book it in plenty of time, so your special day goes without a hitch. Welcome to the blog! You can find my latest shoots and thoughts here.